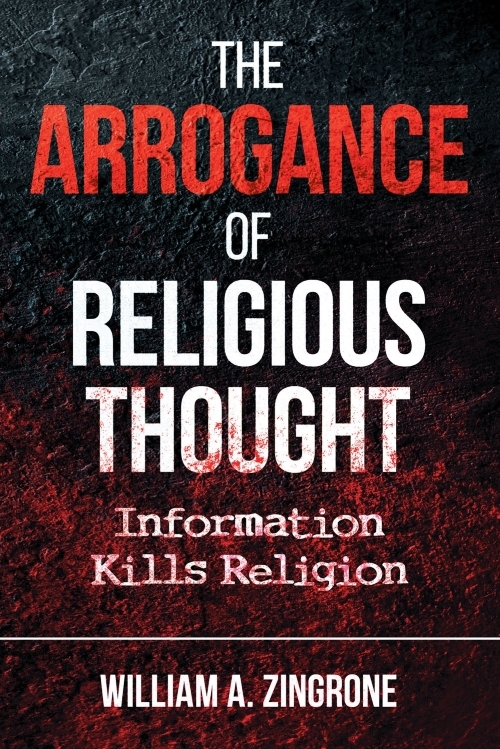 The Return of The Arrogance of Religious Thought: The “Power of Prayer” pt. 2. 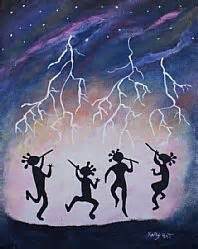 Rain dances don’t work. We know this. And sacrificing small animals will not grant us special favors from an unseen spirit. Such ideas nowadays are beyond laughable, not worthy of a moment’s serious consideration. But the “power of prayer” remains as an unquestioned assumption, politically incorrect to doubt or disparage because the religious might be offended. So can we pray for rain and expect an answer? One of our top presidential candidates in the last primaries evidently thought so. Maybe he should have danced. That was in April of that year and the drought yet continued unabated. 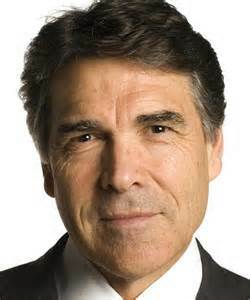 Undaunted, Governor Perry went for a grander request: fixing a “Nation in Crisis” through a mass evangelical prayer rally that same August. Maybe praying for rain or a better economy makes some of us feel real good for a very short time but don’t we all know better as far as what to truly expect from prayer other than our own momentary well-being? We pray for survival from a heart attack, remission of cancer, the early end of sickness and pain. We pray only for hidden, ephemeral results; things we can never tell if prayer has any real effect upon. Nobody prays for a new limb, a reattached finger, not even a paltry earlobe. Instead we see a surgeon. Surely a measly earlobe regrown in the night whilst we sleep should be a trifling task for the Creator of the universe who caused all things material and living to come to be from nothing, down to every last elementary particle across the entire universe? For an excellent perspective on the subject, check out Why Does God Hate Amputees. One who is implored to rearrange weather patterns over hundreds of square miles of west Texas or magically dissolve Obamacare at our humble request, surely He could be called upon to whip up a few measly centimeters of earlobe flesh for us overnight? But nobody prays for that, or for a new amputated limb, or to start our car. Even the most devoutly religious get a jump from their neighbor or call a mechanic. They know better. We know better. So why keep up the delusion? Why continue to lie to our kids? Consider this quick thought experiment. 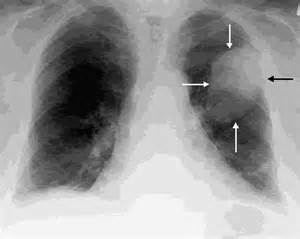 According to the CDC, over 150,000 US adults contract and die of lung cancer every year. 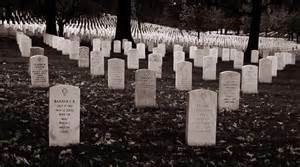 Given that nearly 80% of us Americans are religious to some degree and believe in one god or another, one can safely assume that these victims of adult cancer: someone’s mom, dad, aunt, uncle, sister, brother, were prayed for by any number of relatives, friends, coworkers, etc. on at least one if not many occasions. Even the non-believers among us were likely included in the prayers of believing friends, relatives, and at very least in the general prayers “for the sick and dying” offered up in churches throughout the land every Sunday. So these 150,000-plus cancer stricken folks each had conservatively dozens of prayers for their survival submitted on their behalf. Besides being prayed for what do they all have in common? That’s millions of unanswered prayers for this one illness alone, in just one country. Extend that reasoning to the 9 million or so children who die every year before age five of disease, hunger, or mayhem worldwide; all prayed for by desperate parents and relatives to gods of all kinds. That’s hundreds of millions, likely billions of prayerful pleadings definitely left unheard, utterly ignored. Only on very rare occasions, when an unexplainable and hidden reversal or remission of a disease occurs do some insistently claim credit for an answered prayer. But even then if one maintains that such a case is really an example of the “power of prayer” you then must admit the power if any, is so vanishingly small, and altogether unprovable as to be virtually nonexistent. And utterly useless. Maybe prayer makes some of us feel better for a short time, but prayer doesn’t make rain, cure cancer, fix transmissions, save children, regrow body parts or advance Republican agendas. And we all know better. Continuing this lie is what is offensive. 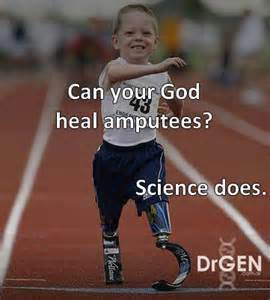 This entry was posted in Anti-theism, Humanism, Nonbelief, Politics, Religion, Skepticism and tagged Prayer, Rick Perry, Why Does God Hate Amputees by waz. Bookmark the permalink.